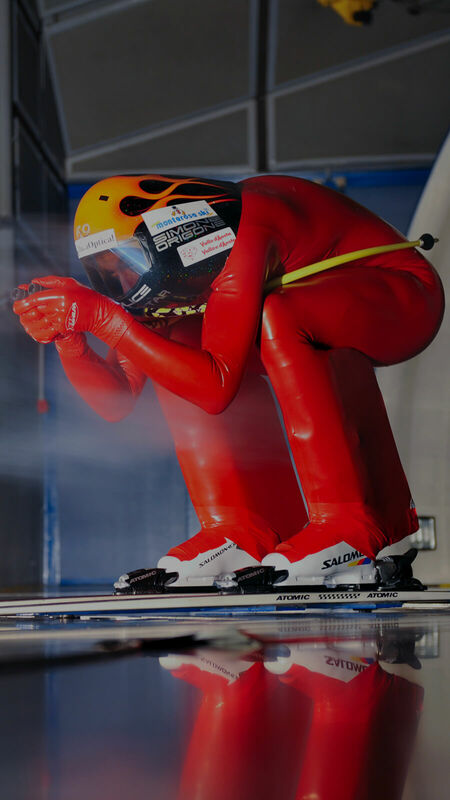 As before every important race, the holder of the World Cup wearing his suit of polyurethane coated Lycra, spoilers system behind the calf, the helmet falls over the eyes of fiberglass, then submit himself to thirty “brushes” to 110 kilometers per hour, for 30 seconds each. 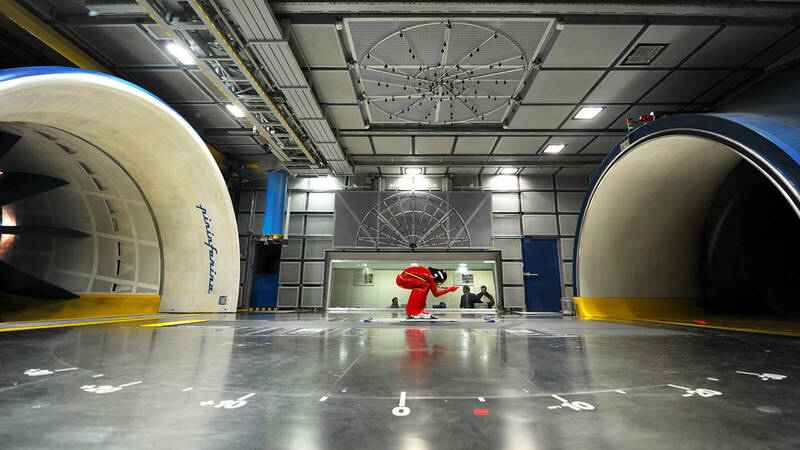 When the wind increases until 110 km/h and the propeller is fully operational, Origone is able to see on a display, in real time, the drag expressed in kilograms. At this point, the champion looks for the position which allows him to obtain the minor drag. 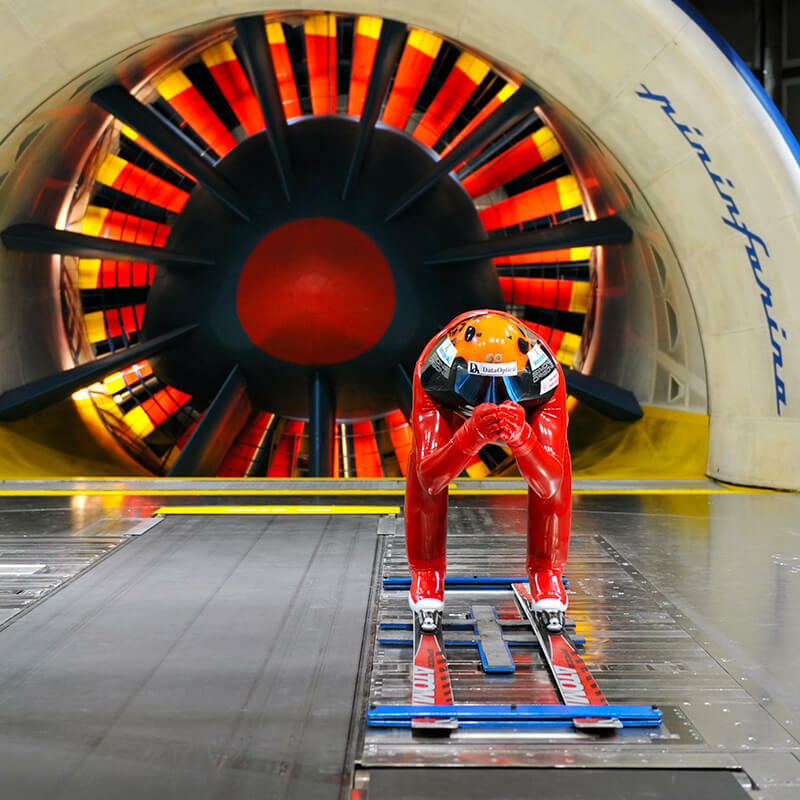 Everything under the control of Pininfarina Wind Tunnel engineers. Moreover, through the visualization with smoke, it is possible to double-check the type of aerodynamic flow on the skier’s shoulders, on his back and on the helmet, always trying to find the best position minimizing the drag.